Every business has something that is inherently unique and bankable. The challenge lies in identifying it and then communicating it to your market. This is differentiating. This will take effort on your part but will pay off in the end. Since I tend to be systems driven, I love books that take you through a business system the author has developed. Business authors who tell stories of their real-life experiences or those who use practical case studies I find not only useful but also very educational. Learning from people’s successes (and failures) can be quite inspirational. Here are five must-read business books that I either have on my desk or on my iPad. 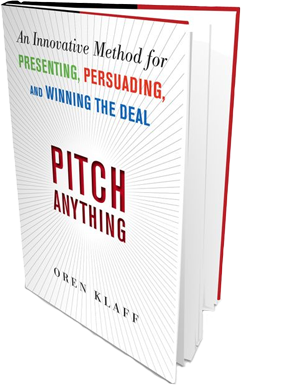 If you are in sales, and I know most of my readers are, you’re going to want to read Pitch Anything by Oren Klaff. Mr. Klaff pitches money-raising deals and has designed an extraordinary sales approach. His book provides real-life stories about his hits and misses using an out-of-the-box sales technique. If you have ice in your veins and high self-confidence, this sales process is for you! Mr. Klaff also provides companion materials that include pitch decks, videos, and additional articles. Good stuff. You would think that one of the founders of Pixar would know a little bit about creativity, right? Sure enough, this might be the best book ever written about the subject. 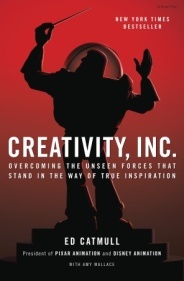 Catmull offers great stories about how Pixar came to be. But, the core of the book is his management approach to creativity. He provides his unique step-by-step process along with specific examples on what works, what doesn’t, and why. If you think of yourself as a creative person or you want to learn more about how to manage the creative process, this book is for you. 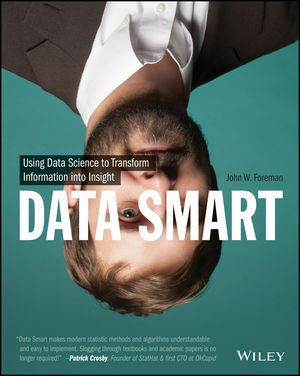 provides a practical users guide on how to approach data that can result in solving business problems. Rather than write about higher-end statistical formula better suited for mathematicians, Mr. Foreman offers data solutions using Excel. And, if you are not an Excel expert, Foreman walks you through how to use Excel to help achieve specific objectives. 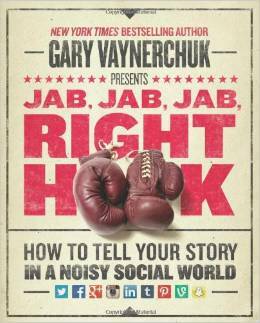 Jab, Jab Right Hook is a blueprint for social media marketing strategy. Mr. Vaynerchuk, a best-selling New York Times author, provides real-world examples of how companies use social media platforms to engage with customers, build relationships, and get results. He provides excellent examples of what works, what doesn’t work, and why. It’s an excellent perspective about a (still) emerging media. Zook and Adams, consultants with the Bain and Company, have written a book about how some of the best run companies design business systems that are repeatable and scalable. Based on a multiyear study of more than two hundred companies, the book stresses the value of repeatability in business, showing how the “big idea” today is really made up of a series of successful smaller ideas driven by a simple and repeatable business model. Zook and Allen show how some of the world’s best-known firms combine a core differentiation model with speed, adaptability, and simplicity to land them at the top for long periods of time. If you work in the franchising business, the concepts within this book apply to what you are attempting to accomplish every day. Do you have a favorite business book? Let me know about it! Share your favorite(s) in the Comments section. By 2015 SiriusDecisions (a B2B research and advisory firm) predicts that over 70% of your inquiries are going to be inbound. That’s a pretty big number. With industry predictions like this one, it only makes sense that you pay close attention to your website and make the necessary (and ongoing) changes to make sure it does the work necessary to engage your visitors. Here are the 7 steps I recommend you take to get you going in the right direction to build a website that works as a powerful lead generation tool for you. Perform An In-Depth Website Audit – It’s important to have a clear and accurate picture of what’s working with your website, what’s lacking, and what is no longer working. You’ll want to pay close attention to things like the technical functionality of your website, your SEO, your content, and special offers. Ideally, you should thoroughly audit your website once or twice a year for optimum results. Shake The Dust Off Your Copy And Content – When was the last time you updated your web copy? Your website copy should be brief and updated frequently to keep it fresh. Make sure you have ALL the information on your website that your current and potential customers want to know. You should make sure to include all pertinent information about your company from your business philosophy and leadership team to the company’s history and plans for growth. I also recommend you have lots of content for visitors to request like newsletters, white papers, e-books, etc., And, special offers also work well. Show What Makes You Best – I always encourage my clients to include testimonials and awards because it adds instant credibility. Add Lots Of Bells And Whistles – Your website should be an informative and engaging experience. Simply having copy on several pages no longer cuts it. You must provide more tools for engagement like forms, calls-to-action, videos, webinars, live chat, free downloads, content offers, social media links, etc. Start Blogging – I’ve said it many times: Blogging works! If you don’t have a blog, consider starting one. It’s an inexpensive way to share information and show your expertise. Make sure your blog has a clearly designated place on your website. Use A Marketing Automation Platform – Inbound marketing and marketing automation go hand-in-hand. Marketing automation enables you to identify and track the behaviors of your website visitors to turn qualified leads into sales. Tell Them How To Contact You – I hate it when I see websites that make it difficult or impossible to contact the company. Clearly have your phone, e-mail, address, etc. visible on a “Contact Us” page so anyone looking for additional information can reach you. Tell me what you do to make your website a powerful lead generation tool. Share your thoughts and ideas in the Comments section. The first hurdle with any e-mail campaign is to get the recipient to open the e-mail. Once the e-mail is opened, the real work begins. Now, the challenge is to engage the reader and get them to take action – now. There are some things I’ve learned along the way that help get the clicks your e-mail campaign is looking for. Provide Multiple Opportunities To Engage – Static copy just doesn’t work. You need to include multiple hyperlinks in your copy to give your readers several opportunities to engage. Create links for your call to action, key pages on your website, newsletters, and white papers. Link your entire headlines, images, product names, specific offers – anything that you have that helps tell your story and gets you closer to the sale. Include A Table Of Contents – Consider using anchor tags at the top of your e-mail so readers can easily select the content they want to see. Only Tell Half The Story – Feature part of the article in your e-mail, and then have them click on a “read more” link to read the other half of the article. The new page then features the entire article as well as additional information, offers, and links. Make Them An Offer – One of the best ways to get a click is to make an offer. This can be for a discounted price, free gift, or raffle drawing – you decide. Make them click to find out more about the offer. This gives you another chance to tell them more about your product or service and hopefully get closer to the sale. Give A Deadline – You want your readers to act now, so give them another incentive by giving a deadline for your offer. The deadline information can link to an offer page. Again, it’s another opportunity to sell. Show Them A Success Story – Nothing works better for sales than being able to show prospects a success story. Ask your top clients if you can videotape them talking about what makes your company so good. Then, post the video to your website and link to it in your e-mail campaigns.